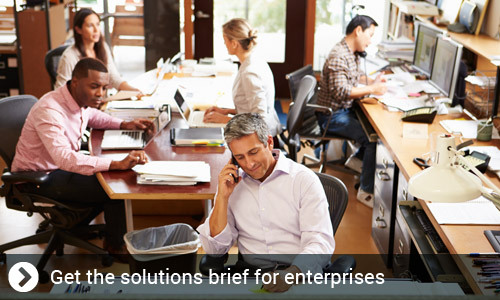 In this era of digital transformation, Hosted PBX solutions from Telehop offers access to next-generation enterprise communications for businesses of any size. Beyond traditional telephony with an on-premise PBX, hosted VoIP opens up new opportunities that helps to improve productivity, enhance collaboration, increase mobility and reduce costs. Every Industry today, needs their business communication to be faster and reliable. Beyond traditional telephony with an on-premise PBX, hosted VoIP opens up new opportunities that helps every business vertical or industry that helps to improve productivity, enhance collaboration, increase mobility and reduce costs. Telehop Business Services offers cloud based unified communication Hosted PBX solutions to support every business vertical and every industry with a personalized fit. Auto attendant. Greet callers with messages and menus that direct them to the desired contact. It provides credibility and makes your business appear professional by routing calls more efficiently, and it replaces the need for a receptionist. Hunt Group Calling. Phone calls are distributed from a single number to a group of several phone lines. Find me, follow me. 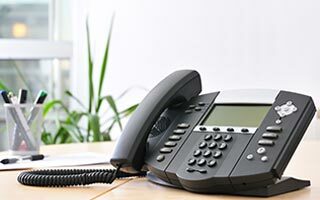 Callers can reach you on an alternate phone if you are away from your office phone. Conferencing. Enables you to have multi-parties participate in a call. Voicemail. Allows callers to leave a voice mail for you when you are not able to answer the phone. Extension Dialing. This feature lets you to access another user's extension directly, without going through an attendant. Mobile Integration. When combined with a virtual softphone, your Hosted Phone System transforms into a feature-rich, web-based phone, that can be used from a desktop, laptop or any mobile device. Online Portal. With the Hosted Phone System online portal, administrators can manage their Hosted Phone System without the need to call another party to make configuration changes, , modify settings, change reporting, etc. The growing demand for mobile workforce by enterprises is driving the need for personal mobility. Moreover, with the conception of BYOD and remote connections, multi-channel and multi-device communication is increasingly used by individuals and enterprises where employees dont necessarily have to be at their desks to communicate. Everyone can be productive on-the-go. With the best IP phone systems, you can access all the advanced features and services available from Hosted PBX. 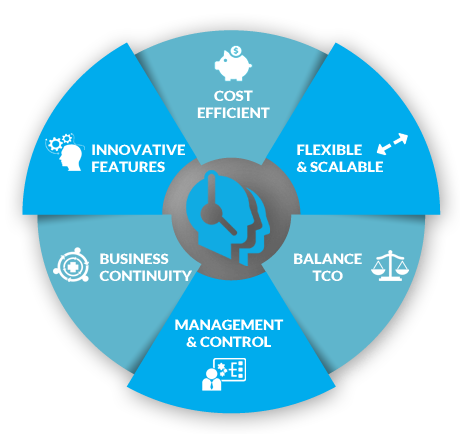 Switch to a fully scalable and flexible hosted phone system without the up-front capital purchase.